If you followed me on Snapchat (username: merrittbeck) while I was abroad, you’ll know I picked up an obsession with face masks. I found them extremely necessary with all the travel and flying I was doing – my skin was all over the place with the many changes in altitude and weather. A face mask is a great way to give your skin the surge of hydration it needs to repair, and many of them have amazing anti-aging or exfoliating properties. Below is a roundup of my favorite ones out there according to the benefits of use. Since I always rely on La Mer’s Moisturizing Gel Cream to hydrate my skin daily and more recently the Renewal Oil at night, it only makes sense they would have an amazing mask! The Hydrating Facial Mask features an ultra-soft cotton mask that comforts and conditions on contact while the nutrient-rich Miracle Broth revitalizes and drenches your skin with moisture. For an intense moisturizing treatment, try Shiseido’s Benefiance Pure Retinol Intensive Revitalizing Treatment. This concentrated sheet mask encourages your skin’s natural recovery function while hydrating and rejuvenating. The pure liquid retinol formula combats wrinkles and helps improve the appearance of firmness. SK-II’s Facial Treatment Mask is actually one I tried while home for the holidays. It was just the mini-facial I needed! It gave my skin a mega moisture boost to help me start 2016 off right. Clinique’s Pore Refining Charcoal Mask is the perfect post-flight treatment. The mask absorbs oils, impurities and environmental pollutants to help detoxify your skin! The charcoal draws out debris that gets stuck deep in your pores, while the clays soak up excess oil. This Kiehl’s Energizing Radiance Mask contains a powerful anti-oxidant (cranberry extract) and anti-inflammatory (Turmeric extract) to brighten dull, fatigued skin and restore its healthy, rosy appearance over time. I’m a recent convert to Tata Harper’s 100% natural products, having received her Resurfacing Mask as a sample. This is the ultimate exfoliating mask for eliminating dull, dead cells and enhancing your skin’s natural radiance! For an night you’re wanting to look extra gorgeous, treat yourself to a 10-minute facial with GlamGlow’s YOUTHMUD Tinglexfoliate Treatment. In addition to the exfoliating properties, it also promises to diminish the look of fine lines, minimize pores, and leaves the skin brighter, softer and smooth. Perfect for when you need to be camera-ready! If you’re not sure where to start with face masks, might I suggest trying out this Bobbi Brown Mini Mask trio? 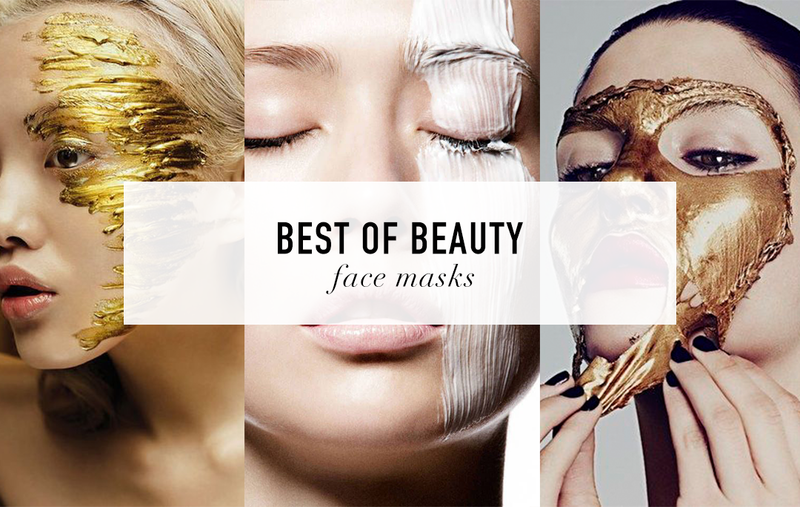 It features Bobbi’s three most popular masks in one set! PS – it makes a great travel companion for your carry-on! La Mer’s Lifting & Firming Mask is brand new and I just got my hands on it! Haven’t had a chance to try it yet, but this luxurious cream mask promises to visibly tighten, firm and refine the face and neck. I’ll report back! I never use any beauty products like a mask or cream on my face! sounds like fun! I try to use a face mask once week and have heard such great things about the SK-II ones! I have yet to find one I love, I will have to try some of these out! Have you ever used Lush face masks? I mostly use those because I like that they are fresh and inexpensive, but I’ll have to try some of these! thanks for sharing Merritt! one of my resolutions was to take better care of my skin this year – i’m starting to notice more and more wrinkles – ugh! How often do you use a mask every week? thanks! omg just saw those new Bobbi ones and want to try so badly! Great suggestions! Do you have a cleanser you prefer to use with your clarisonic?